According to Digitimes, the Taiwan-based supply chain for Apple products will begin shipments of 11.6″ and 13.3″ MacBook Air models for launch in June or July, which features the Sandy Bridge chipset and Thunderbolt interface. The new models are expected to come with Thunderbolt, Intel’s ‘Lightpeak’ high-speed connection technology, along with the latest processor, Sandy Bridge, which would represent a significant upgrade for Apple’s MacBook Air, which until now is still using the previous generation Core 2 Duo processors. 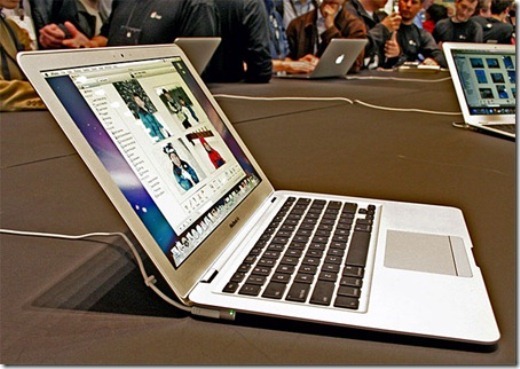 The last Macbook Air refresh was announced back in October 2010, where the unibody MacBook Airs where announced.